Home » How to Play MP4 Files on Philips TV from USB Drive? How to Play MP4 Files on Philips TV from USB Drive? Have downloaded some MP4 movies from popular online video streaming sites or recorded some footage with the MP4 file format and wish to play all those movies or videos on your large screen Philips TV. The good news is that most Philips TV now features built-in USB port which enables you to play media files store on it. Can you successfully play MP4 video on Philips TV from USB drive? The answer really depends. You should have a properly formatted USB drive and in addition, the MP4 file must be included in Philips TV playable file formats. Not all USB drive can be recognized by Philips TV, only memory device in FAT/DOS format are supported. Portable hard discs are only supported as a mass storage device without any multimedia capabilities. If your portable hard disc comes with multimedia capabilities, you have to connect your hard disc as a standard peripheral device. After you have got the proper formatted USB drive, the next important thing is getting Philips TV supported playable file formats. You can consult the user manual or promotional material for the particular Philips TV set to which see what file formats it supports to playback. 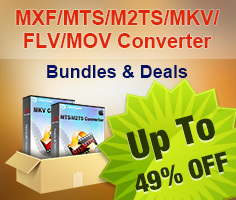 You may find that your Philips TV only play MP4 files compressed with H.264/MPEG-4 AVC. To play unsupported MP4 files on Philips TV, you will need to perform a codec transcoding process. Here, a simple to use and workable solution called Pavtube Video Converter (best video converter review) is highly recommended to you. With the program, you can comprehensively transcode all MP4 files compressed with various different codec to Philips TV playable H.264/MPEG-4 codec. To get the best output file quality, you can flexibly adjust the output file codec, resolution, frame rate, bit rate and audio codec, bit rate, sample rate and channels to make them fit with Philips TV. 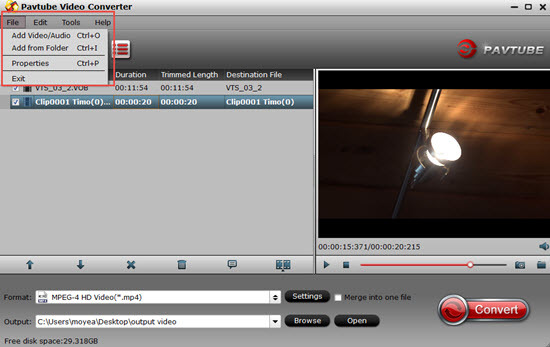 If the output video file size is very large, you can reduce its file size by trimming or cutting off video to remove unwanted parts or segments or splitting large video into small clips by file size, count for length, you can also use the "Crop" function to remove black bars around the video frame or adjust the output video aspect ratio to make them fit with your Philips TV display screen. For Mac users, you can download Pavtube Video Converter for Mac to perform the same conversion on Mac OS X El Capitan. 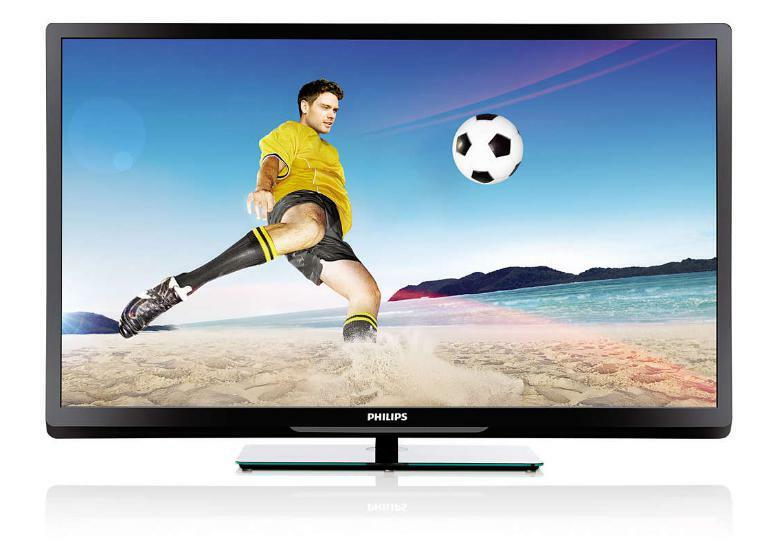 How to Convert and Play MP4 Video on Philips TV? Start the program on your computer, on the main interface, click "File" > "Add Video/Audio" or "Add from Folder" to load unsupported MP4 files into the program. You can also directly drag the files to the program's main panel. Step 2: Output Philips TV playable file format. 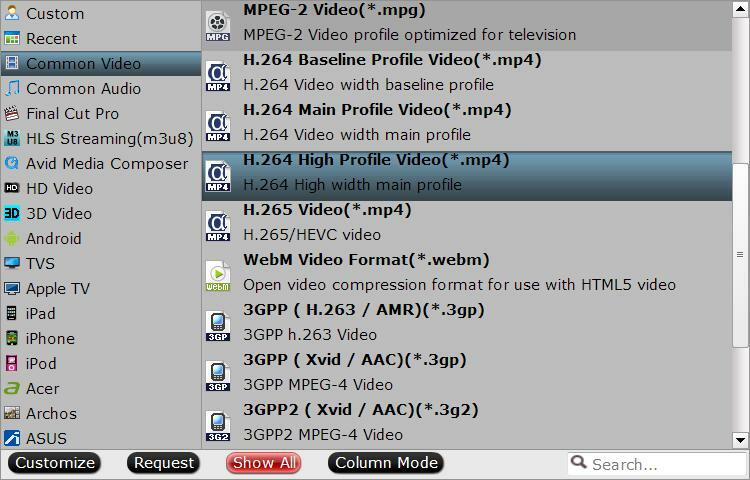 Click "Format" bar, from its drop-down option list, select Philips TV playable "H.264 High Profile Video(*.mp4)" from "Common Video" main category. Step 3: Edit MP4 video. To reduce file size with no quality loss, you can trim video length in the "Video Editor" window by setting the start time and ending time to cut out unwanted clips from the video. 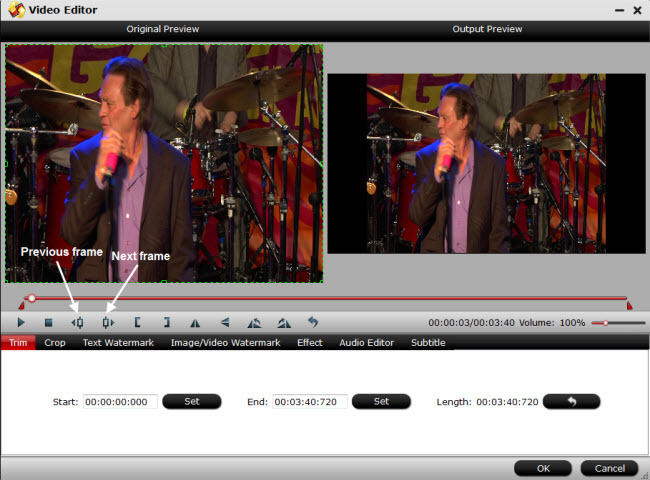 By clicking the Split button on file list, or from Edit menu, you can launch the Video Split window. Ticking Enable to enable it, and then you can split the file by file count, time length, or file size. 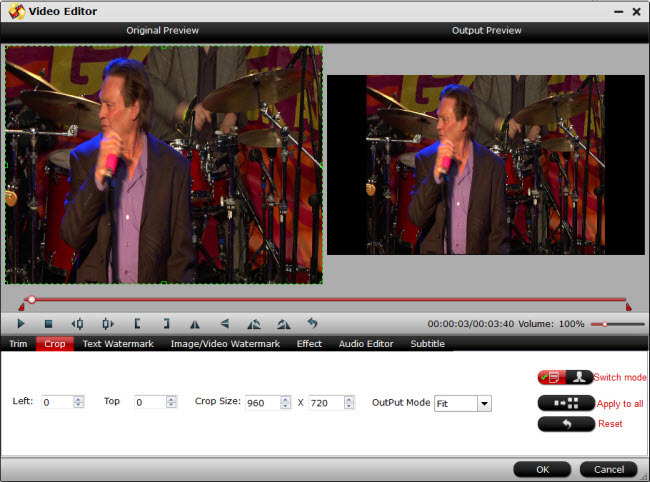 In the "Video Editor" window, under "Crop" button, simply move your mouse cursor around the video to drag and adjust the green frame to desired position. Step 4: Start MP4 to Philips TV conversion process. Go back to the main interface, click right-bottom "Convert" button to begin the conversion from MP4 to Philips TV supported file formats conversion process. When the conversion is completed, click "Open Output Folder" to pop out the folder with converted files, then transfer converted files to an external USB flash drive, plug the drive into Philips TV USB port for playing with ease.